The Triumphal Arch of Maximilian I is a landmark in the history of printmaking and an impressive early example of propaganda. 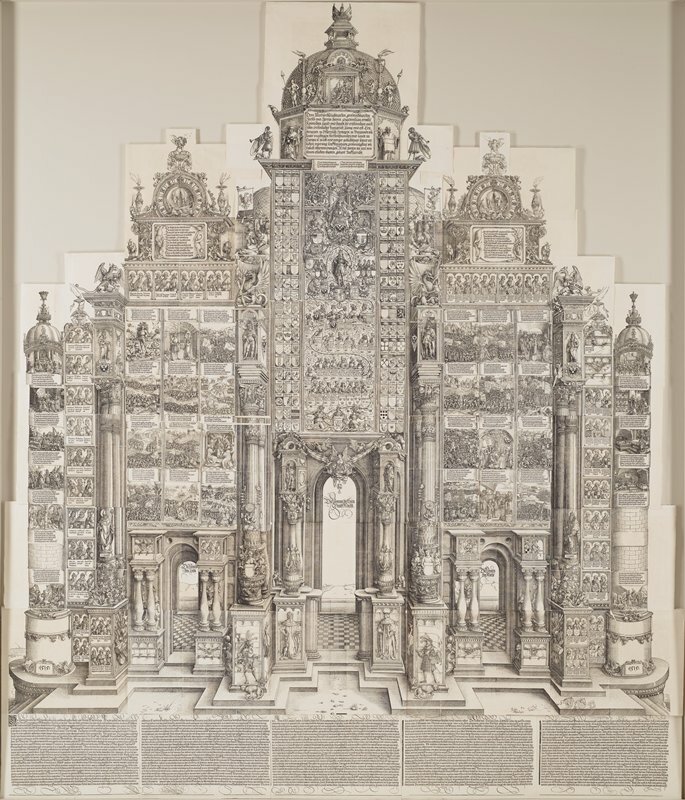 At the time of its initial publication, The Triumphal Arch was the largest print that had ever been completed. Though Maximilian I was not rich enough to complete major architectural monuments, he had the vision to realize the influence of a printed equivalent that could assert his right to rule as well as his ability to do so. Fully assembled, the print measures more than eleven feet tall by nine feet wide. 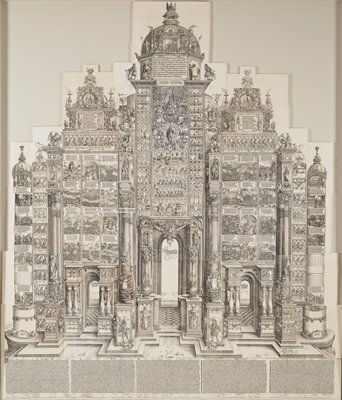 With this acquisition, Mia will have acquired in a remarkably short span of time the three great giant woodcuts of the Renaissance: Jacopo de’ Barbari’s View of Venice, Titan’s Red Sea, and Dürer’s Triumphal Arch.